Turmeric Health Benefits: A Tea Steeped for Healing? Last updated: September 17, 2017. Few things in this world are as soothing as a good cup of tea to relax with after a difficult day (read more about it here), but the health benefits of tea are worth exploring as well. You’ve got your choices; a tea can be found to appease nearly any palate. You can make tea out of just about anything, and turmeric is no exception. The root of the turmeric plant is ground up into a spice. Turmeric is a cross cultural spice that has been used in medicinal teas for years in various cultures around the world. Turmeric health benefits may include its anti-inflammatory properties, qualities that aid in digestion, and more. Turmeric has been around for thousands and thousands of years but it seems only recently has there been a major spotlight on the herb known as the “king of spice”. Used commonly in Asian cuisine and for it’s golden yellow colouring for curries, this spice is now being sought after for many of its alleged health benefits as well. There’s lots to love about turmeric and using it to make tea, too. Turmeric is a rhizomatous perennial herb plant that grows wild in South and Southeast Asia. It can grow up to 1 metre high and when harvested the root stocks are boiled and dried then ground up into a powder which is used as a spice and can also be used as a dye because of it’s deep color. So now that you know all of it’s amazing benefits how are you going to incorporate it into your daily life? Let us tell you! In a small bowl, mix 2.5 tablespoons ground turmeric, 1.5 tablespoons ground cinnamon, 4 tablespoons loose lemongrass tea, and 20 peppercorns. You can also add a pinch of clove and nutmeg for enhanced flavor. Stir to combine. Place 1 tablespoon of mixture into a tea bag. Add fresh ginger root to the tea bag right before brewing. Brew as you would normal tea. Add a slice of orange and honey for sweetness while tea is steeping. Enjoy! If you have any other suggestions for ways to incorporate turmeric into your diet let us know with a comment down below! 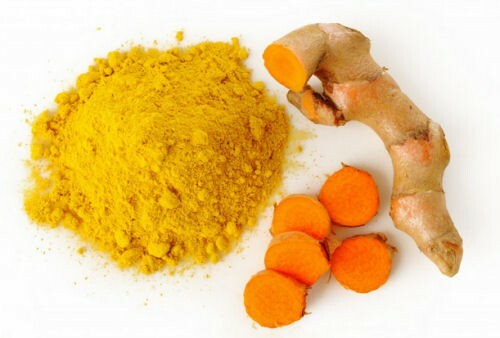 There is an extraordinary extract that comes from the Turmeric root called Curcumin, this extremely effective antioxidant does wonders for our health. 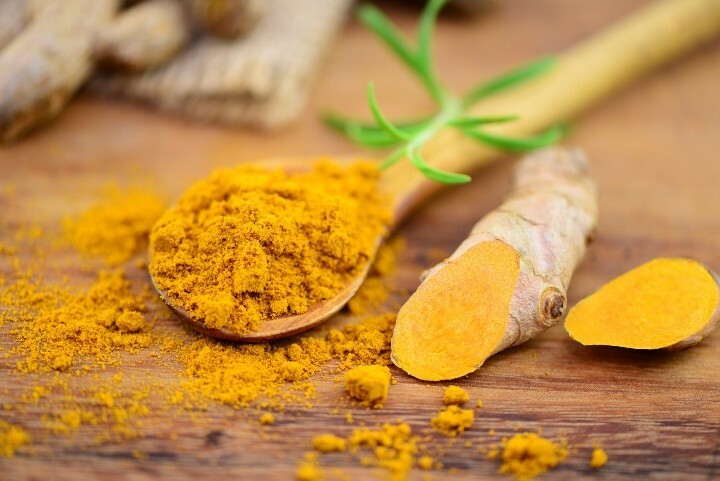 By adding turmeric to your diet through cooking or through this increasingly popular tea, you can help fortify your immune system and strengthen your body against disease, infection and even inflammation. Anti-inflammatory use is not the only health benefit. Digestion is a big deal when it comes to feeling good – some people won’t get out of bed if their tummy hurts. Our bodies immune function relies heavily on our digestive system working properly. Turmeric is known to stimulate the gallbladder, aiding in easing indigestion and heartburn. In traditional medicine, it was also used to treat ulcers and gallstones. Turmeric also acts as a liver flush – it removes toxins and bile from the liver’s system, making it function better and more efficiently. Remember that if you have any kind of problem with your stomach, gallbladder or liver, you want to visit with your doctor before you start adding this drink to your diet. 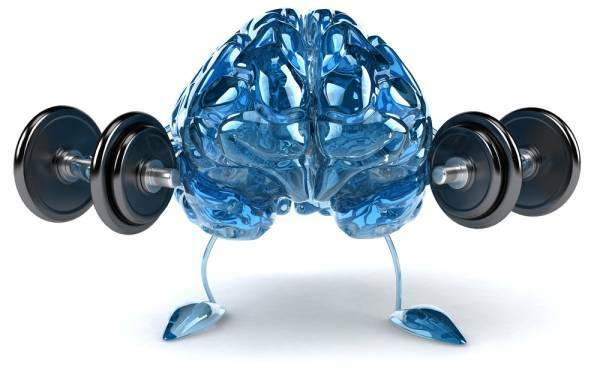 One more health benefit that was not mentioned before is the prevention of Alzheimer’s Disease. Alzheimer’s is the result of the buildup of plaque, called amyloids on the brain. Turmeric has several enzymatic blockers that prevent beta-amyloid (the substance responsible for the plaque build up) from being formed, therefore slowing down the symptoms and allowing the brain to maintain its function. This means that while Alzheimer’s is neither curable or reversible, it can be slowed down and manageable with a little dietary help. Studies show that along with Alzheimer’s, turmeric could potentially help those that suffer from other disorders like multiple sclerosis, and Parkinson’s disease. 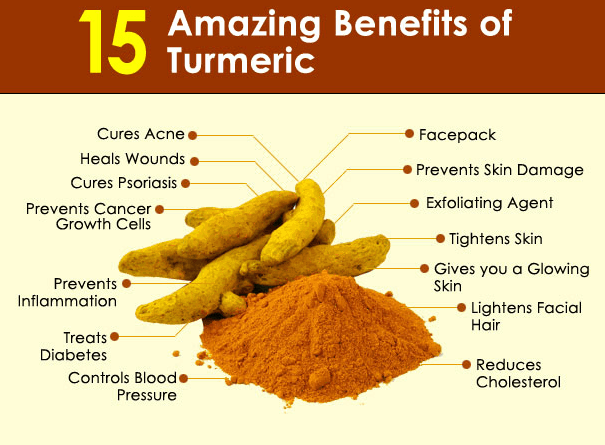 So, in addition to being a tasty tea, turmeric health benefits are numerous and varied. Preventing Alzheimer’s and relieving arthritis are both big tasks that many people need help with – and perhaps the rest of us could just do to relax, relieve indigestion and cleanse our bodies. If you are concerned about your health or you simply like to keep your body in tip top shape, cleanse yourself of harmful toxins and significantly improve your overall health. All through a delicious tea you would likely be enjoying for the aromatic, luxurious qualities it possesses aside from the health benefits. Adding the health benefits of turmeric to your tea can be as simple as adding a teaspoon of ground turmeric and ginger to an already made cup of black or green tea, but you can also buy powdered instant teas in your health food grocery store. If you haven’t given it a try yet, now is the time! We understand that people drink tea for a variety of different reasons. Some drink tea for some sort of benefits to their health, some drink tea simply because they like the taste. Some people drink tea because it helped them quit coffee. Whatever your reason is, welcome to the club! There’s no right or wrong reason to enjoy a cup of tea. Every reason that one might sip a tea is the perfect reason. We all love tea, and have our own favorite varieties. Here are some other types of tea that we’ve covered in the past, hopefully you’ll find some new favorites to try. There you have it. Please leave a comment and let us know if you’ve tried turmeric tea in the past, and let us know your favorite recipes. Do you have any other types of tea that you’d like us to cover? Maybe you’re curious about it, or maybe you’re already a huge fan… in either case, let us know your favorite because we’re always curious to try new teas or to rediscover an old favorite.